We’re proud to have built and protected a vibrant and diverse community of students. We’re looking for creative ways to help each of you stay committed to your health. A fun, flowing 60-minute class built on classical ballet, pilates and yoga. Lean out, lengthen and lift. Develop the athleticism and grace of a dancer. Nothing this fun works this fast. Start your year at the Barre! 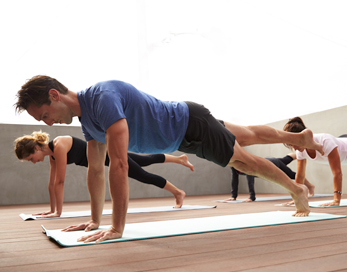 A full-body, high-intensity class based on the principles of pilates. Tone muscle, melt fat, and resolve pain. Master your body, instead of living at its mercy. This year, get serious. Get to HotPilates. 26 and 2. 60 mins. Served streamlined in 60 minutes. Perfect for those busy days when you really need your mat. The next best thing to 90 minutes. Class cards for the Extended Curriculum will go on sale on Black Friday. They make great gifts! Stay tuned for more info! ← Movie Night 11/20: One Giant Leap! This is so awesome!!! I am so so so happy for you!!!! I cannot wait to get back in!